A long history of lack of interest by local and state government agencies in protecting and restoring the Bushland led local residents to redress the neglect. In 1994 they formed the Bomaderry Creek Landcare Group. Over the past eighteen years the Group has initiated and carried out many projects to improve the Bushland and its facilities. In close collaboration with the National Parks & Wildlife Service and the Shoalhaven City Council they have undertaken maintenance and extension of the walking track system, assisted in upgrade and repairs to the picnic area, improved signposting, carried out rubbish cleanups, bush regeneration, weed and rabbit control. A feature of the Group’s work has been community promotion of the Bushland through this website, production of a walking track book and leaflet, guided walks, community talks and workshops on native plant identification, weed management and bush regeneration. 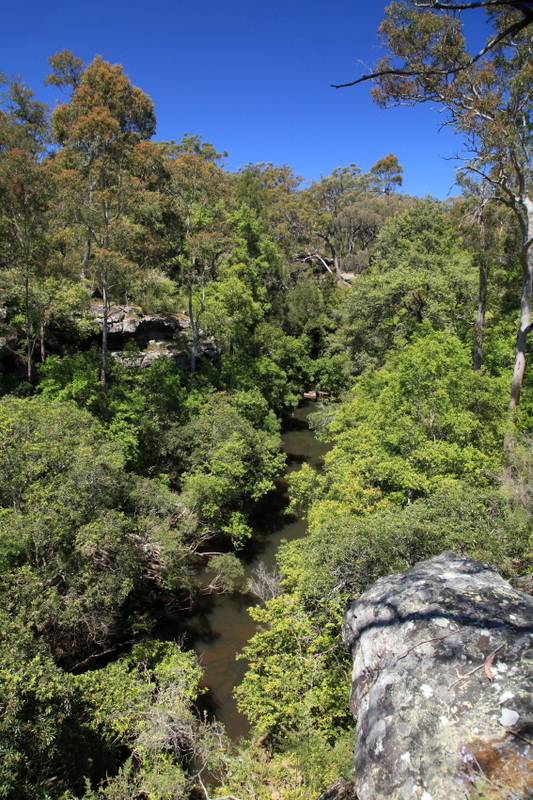 In close cooperation with the Australian Conservation Foundation (Shoalhaven Branch) and the Friends of Bomaderry Creek, the Group has undertaken a draft plan of management, technical reports on the ‘endangered’ Bomaderry Zieria, the ‘vulnerable’ Nowra Mallee and weeds of the Bushland, plus many submissions in response to Council’s road promotion environmental assessments. The National Parks and Wildlife Service has responded very positively to its management responsibilities of the regional park with significant staff and financial resources having been devoted to the task. Shoalhaven City Council has also responded, but to a lesser degree. This close working relationship between the community and agencies demonstrates that even in complex land ownership situations, such as exists in the Bushland, effective joint management can be achieved. The role of the community initiative in this regard is something to be proud of and demonstrates the democratic process in action.